Linda Ronstadt (born July 15, 1946) is an American popular music recording artist. 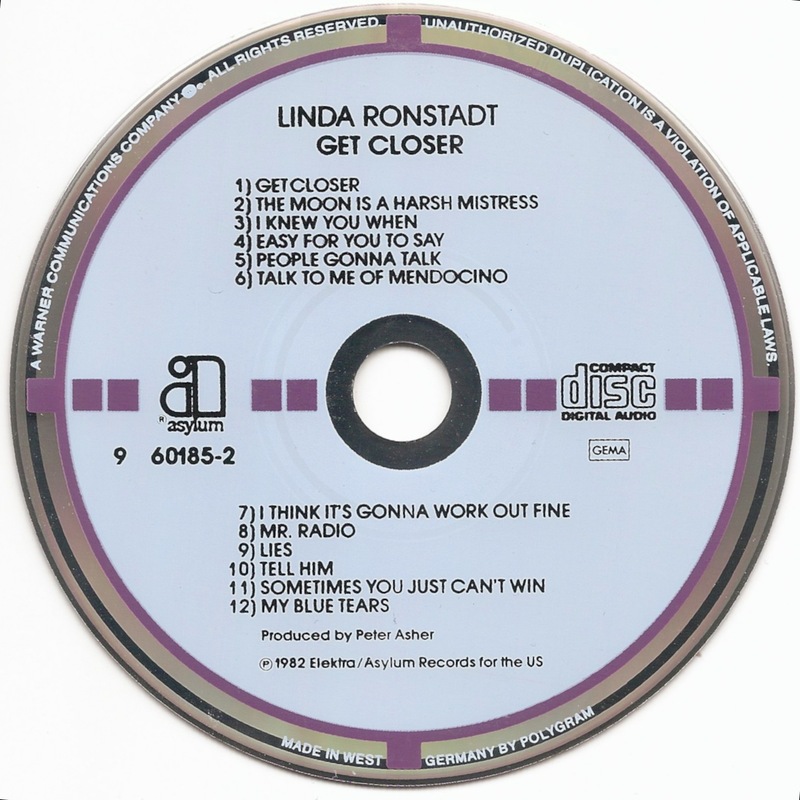 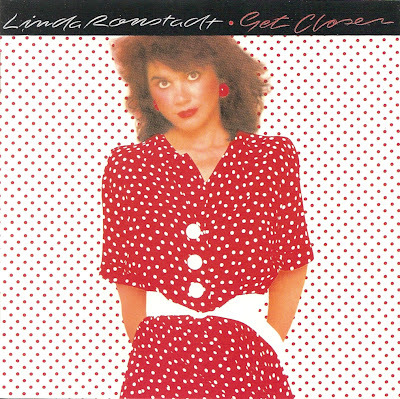 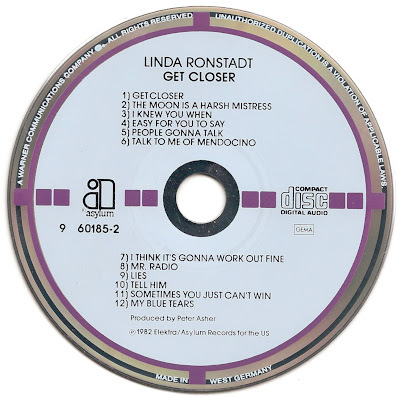 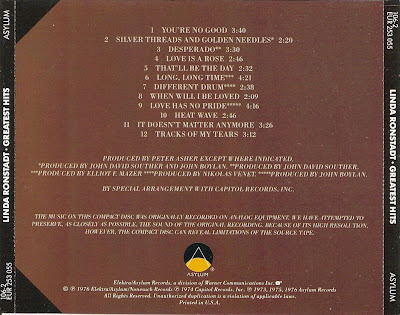 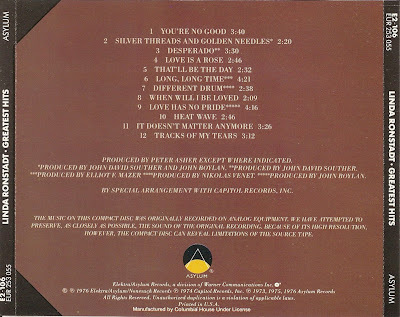 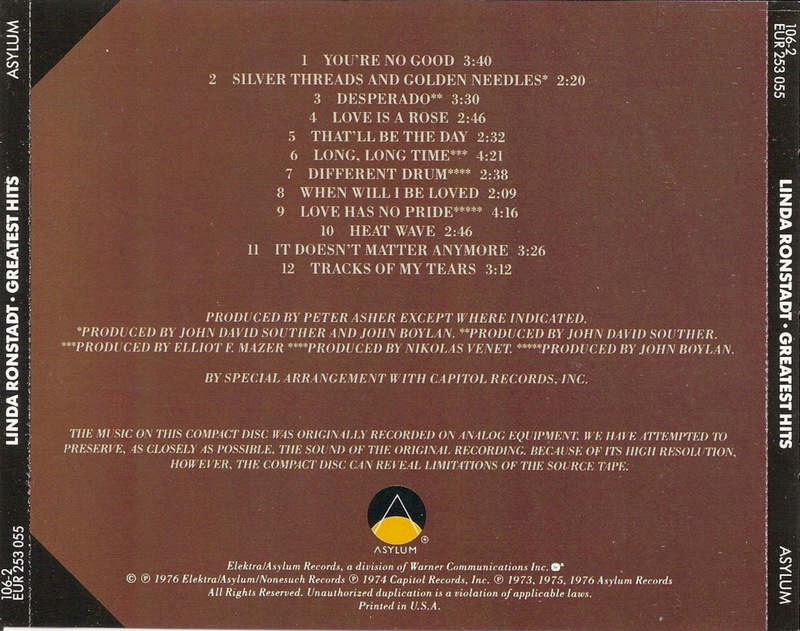 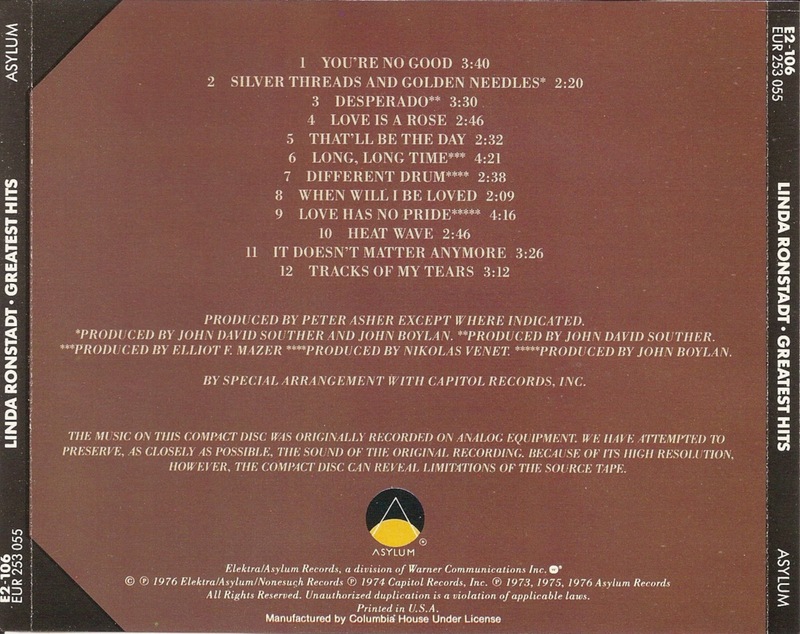 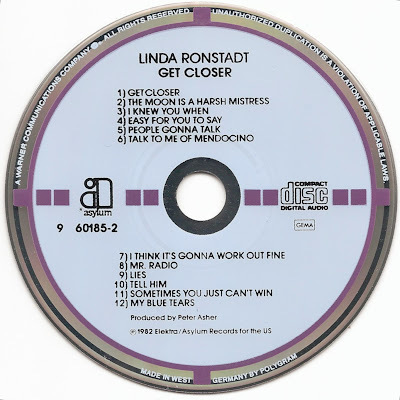 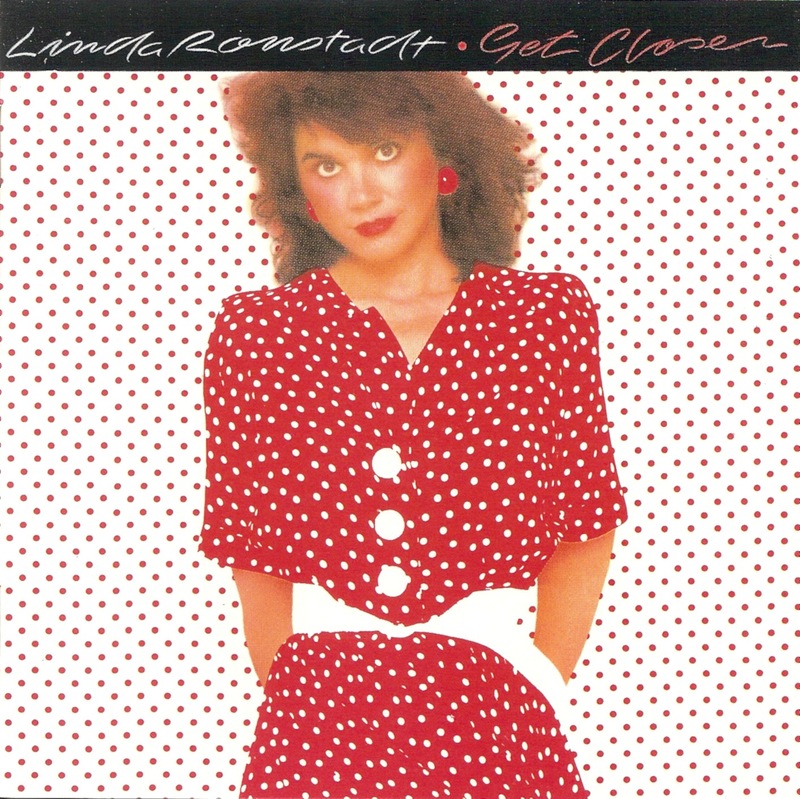 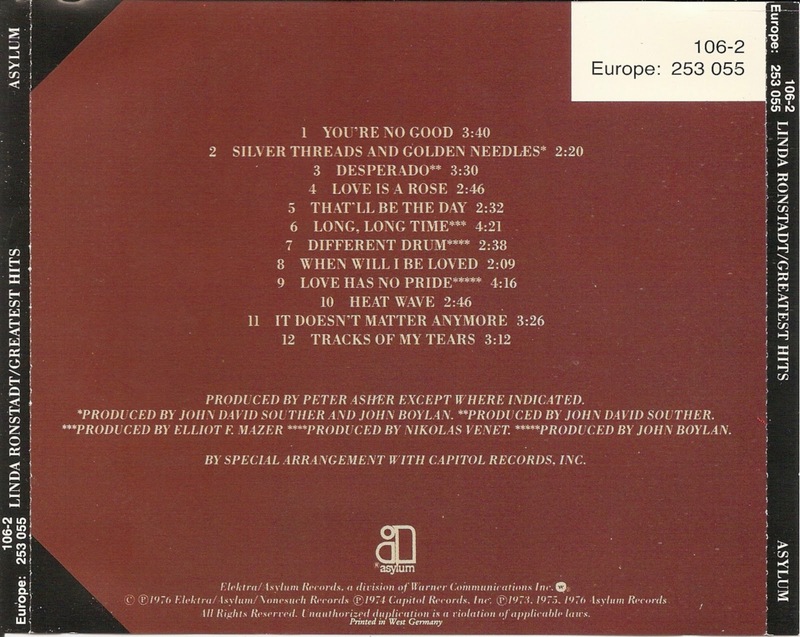 Get Closer (1982) is a Gold-plus, Grammy-nominated album by singer/songwriter/producer Linda Ronstadt. 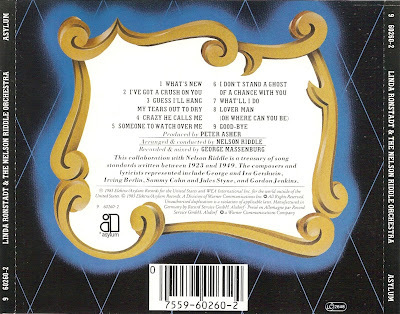 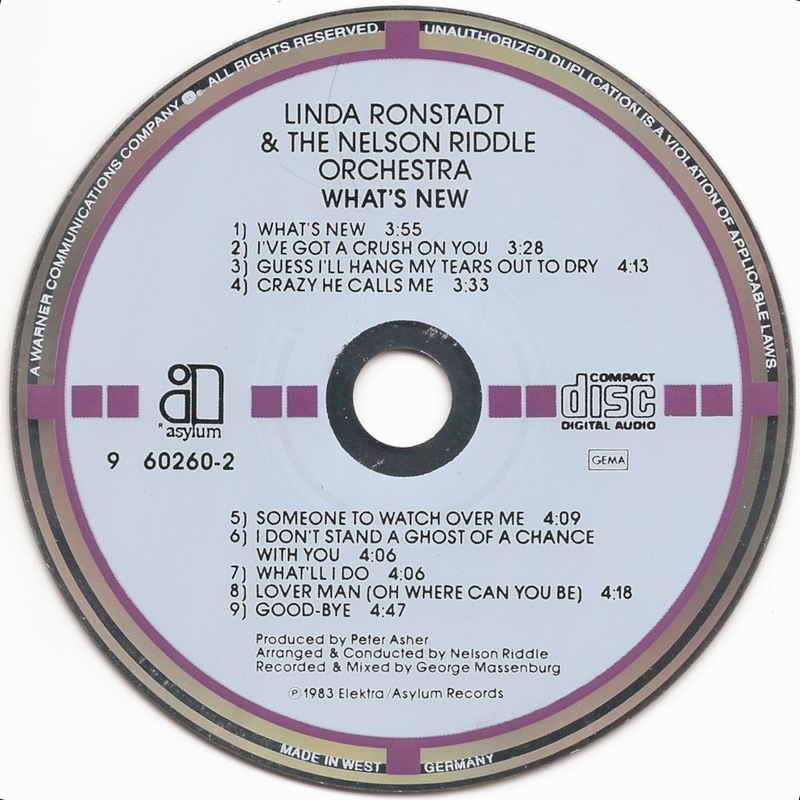 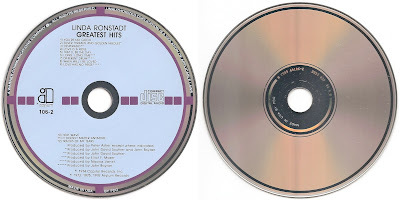 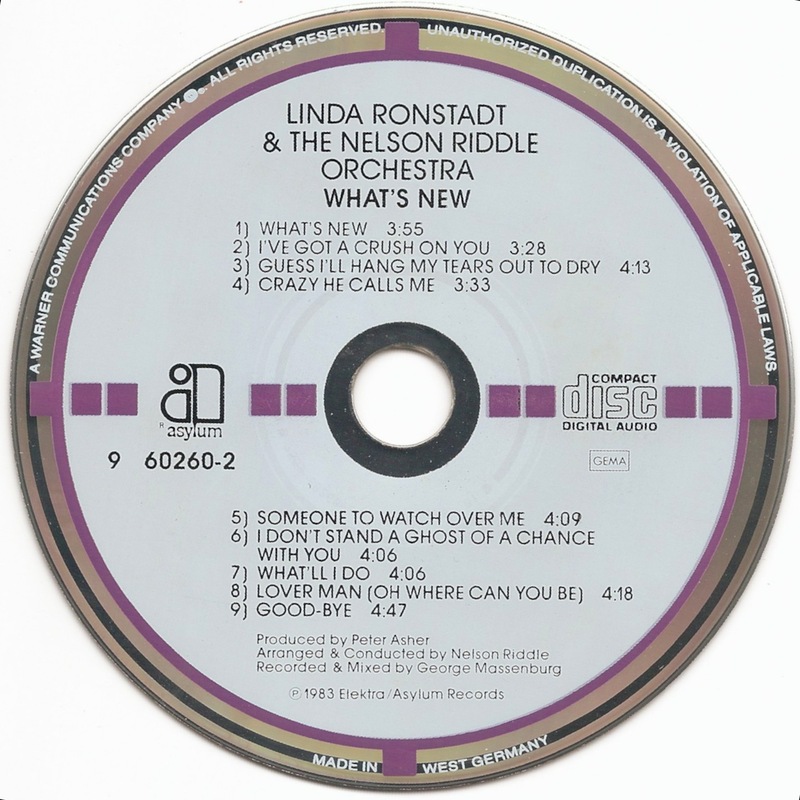 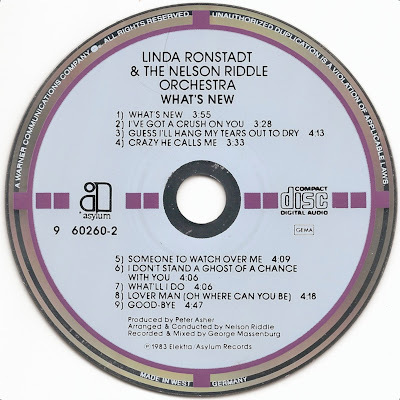 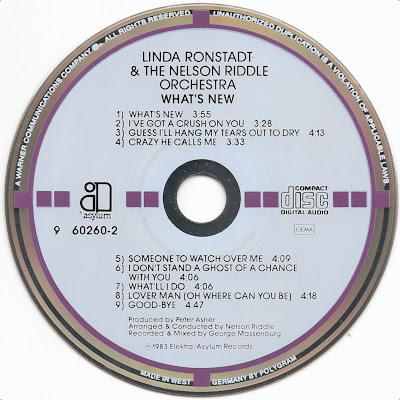 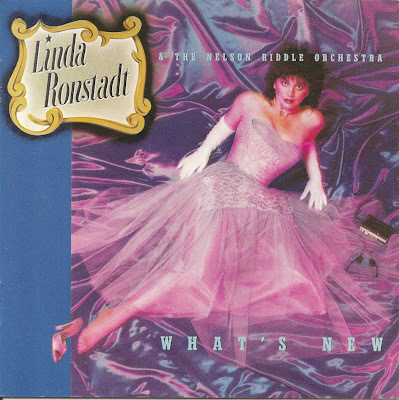 What's New is a 1983 Jazz album by American singer/songwriter/producer Linda Ronstadt consisting of nine songs of Jazz music. 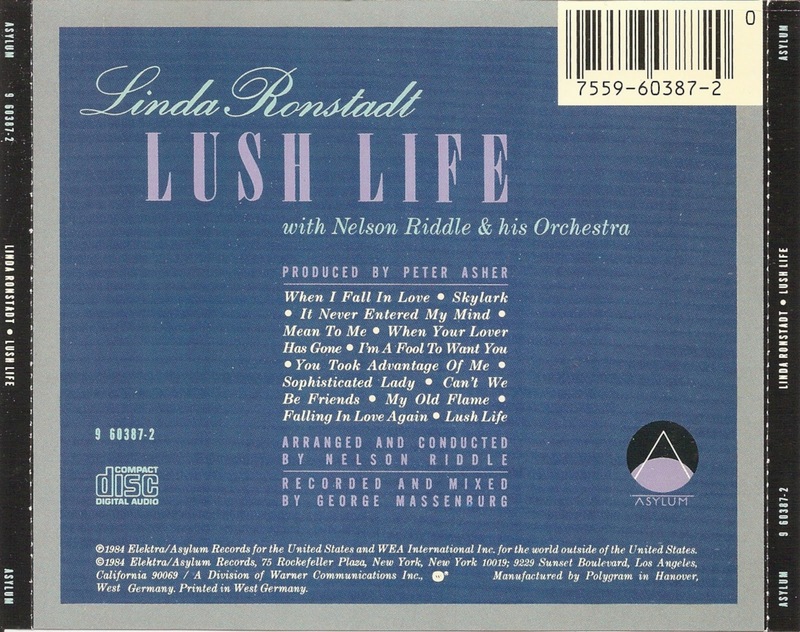 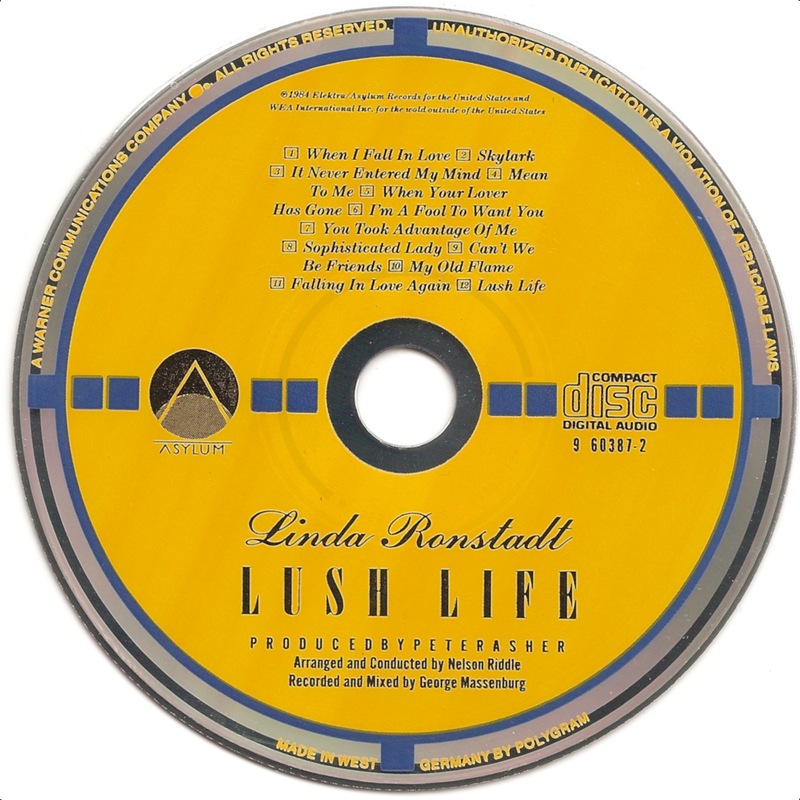 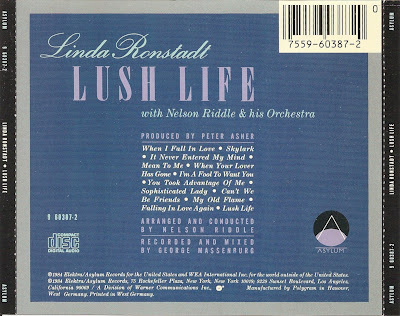 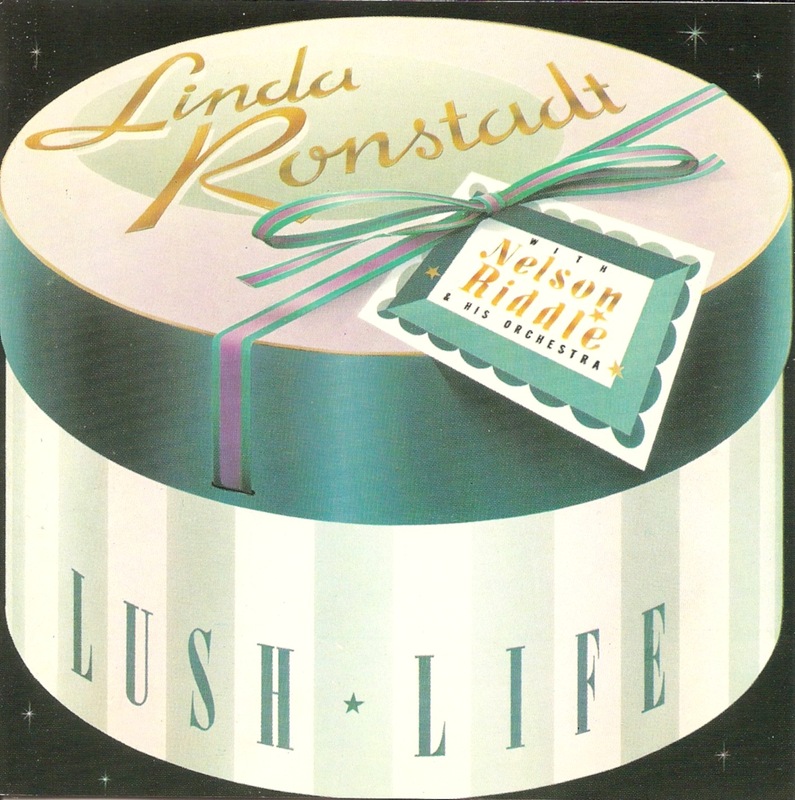 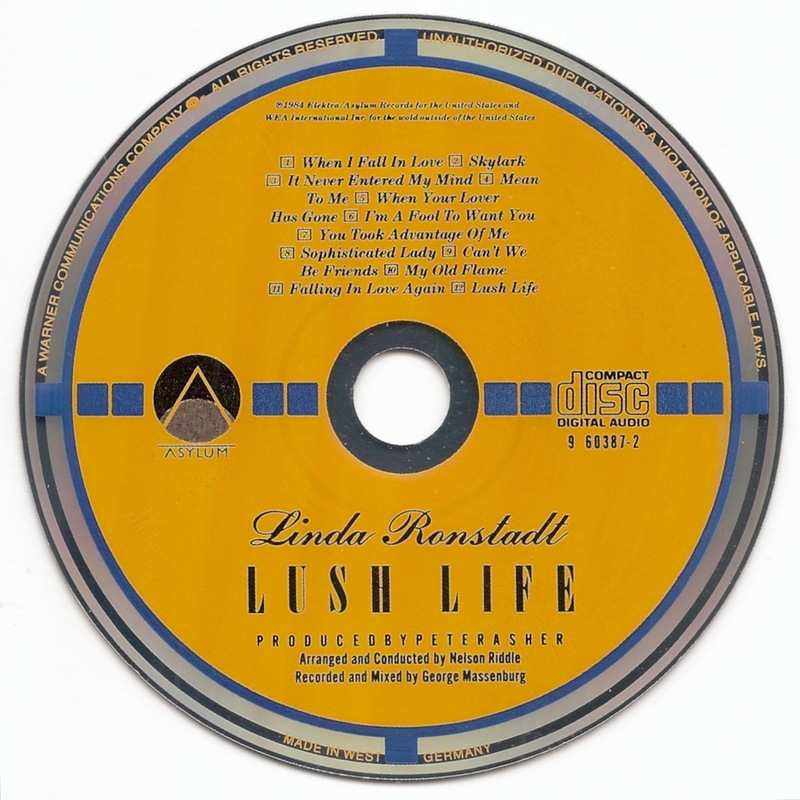 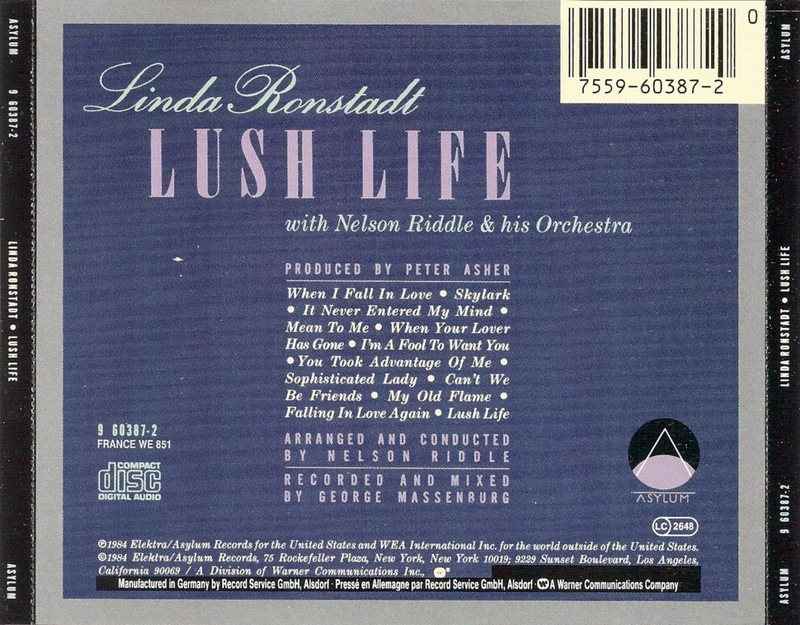 Lush Life is an album by American singer/songwriter/producer Linda Ronstadt, released in late 1984. 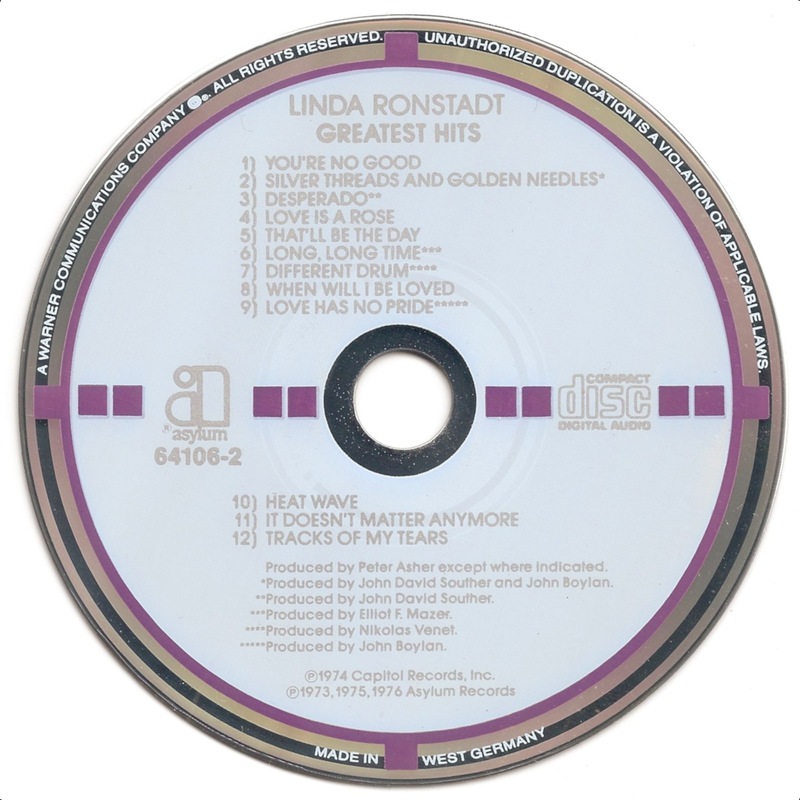 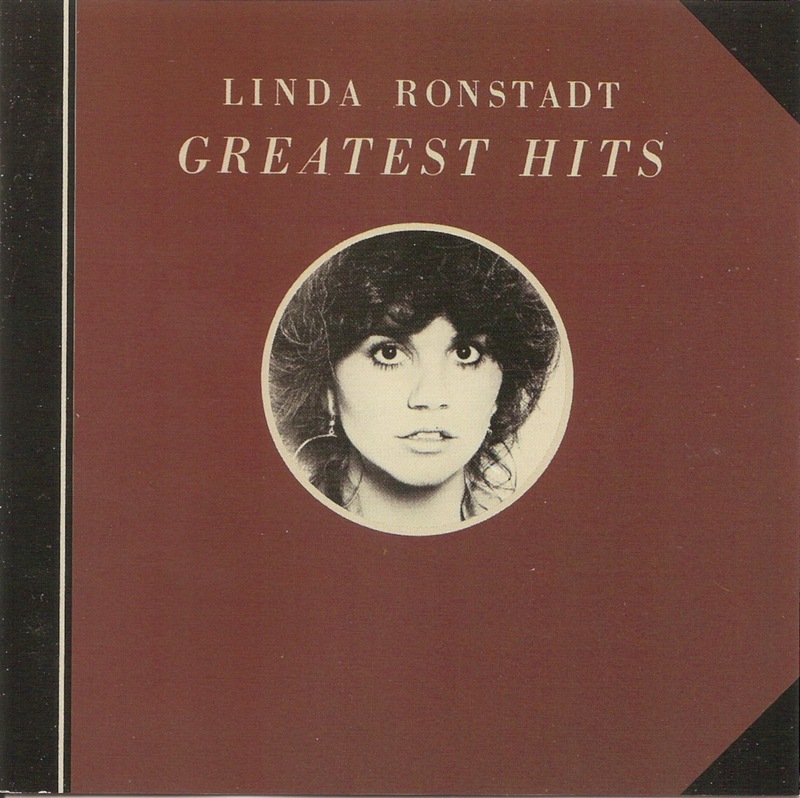 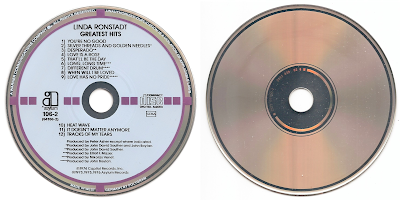 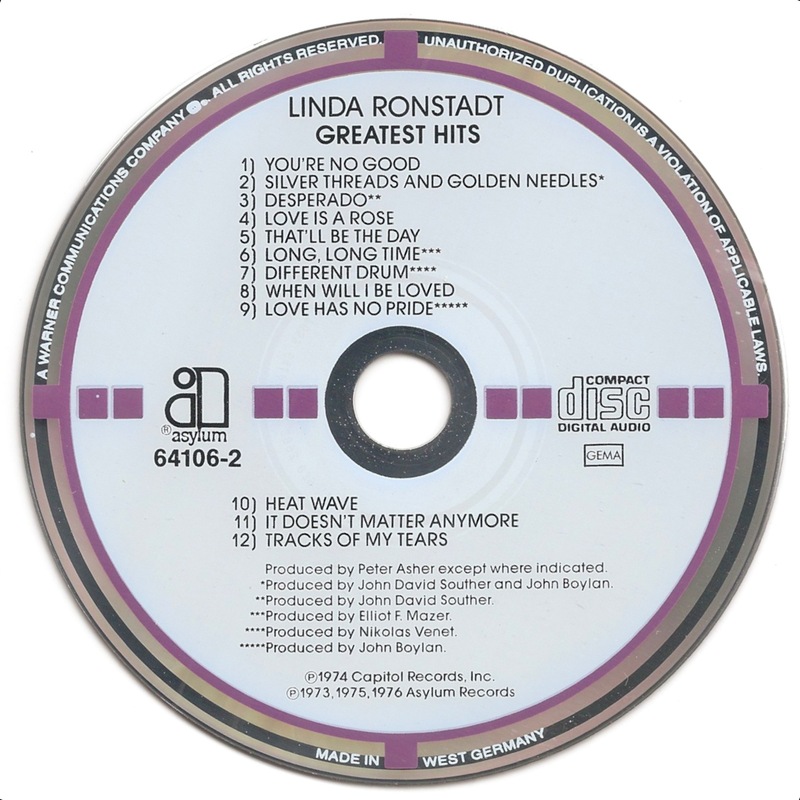 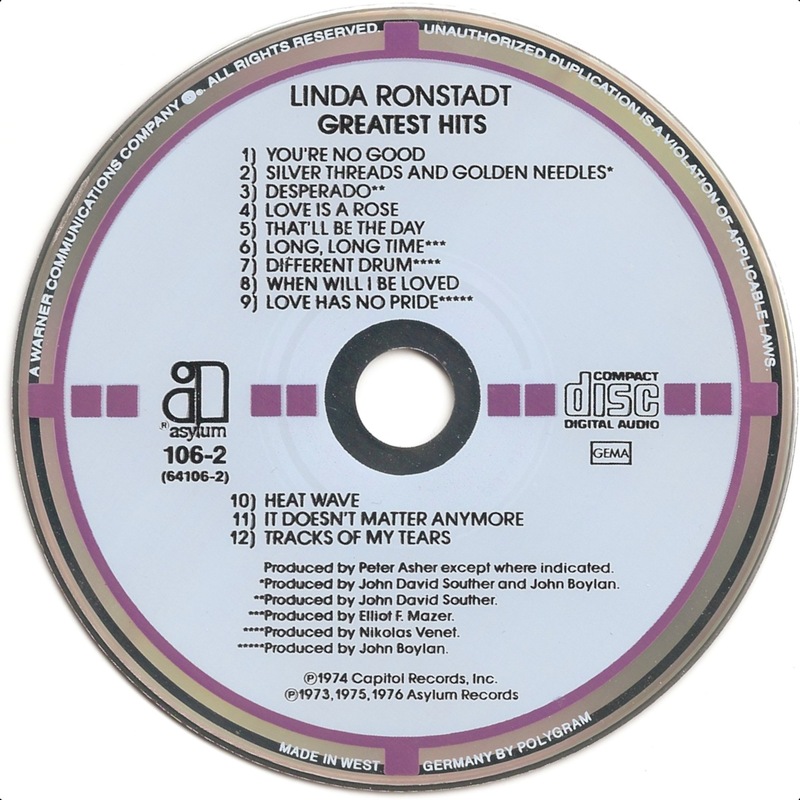 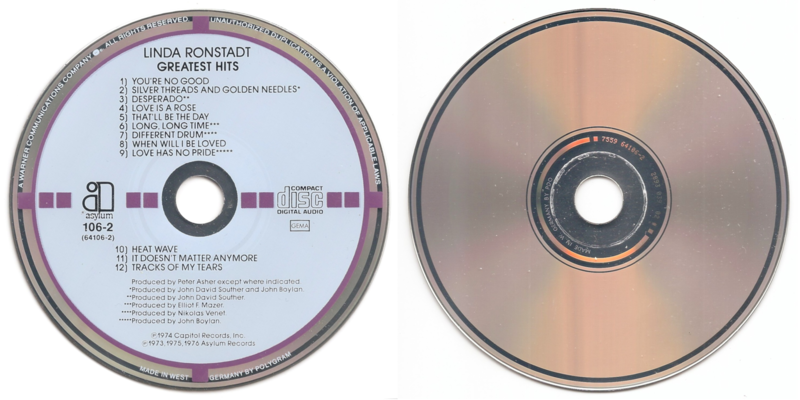 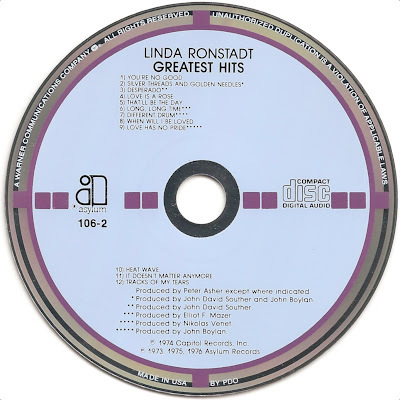 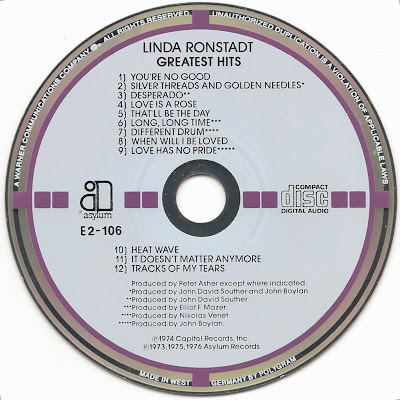 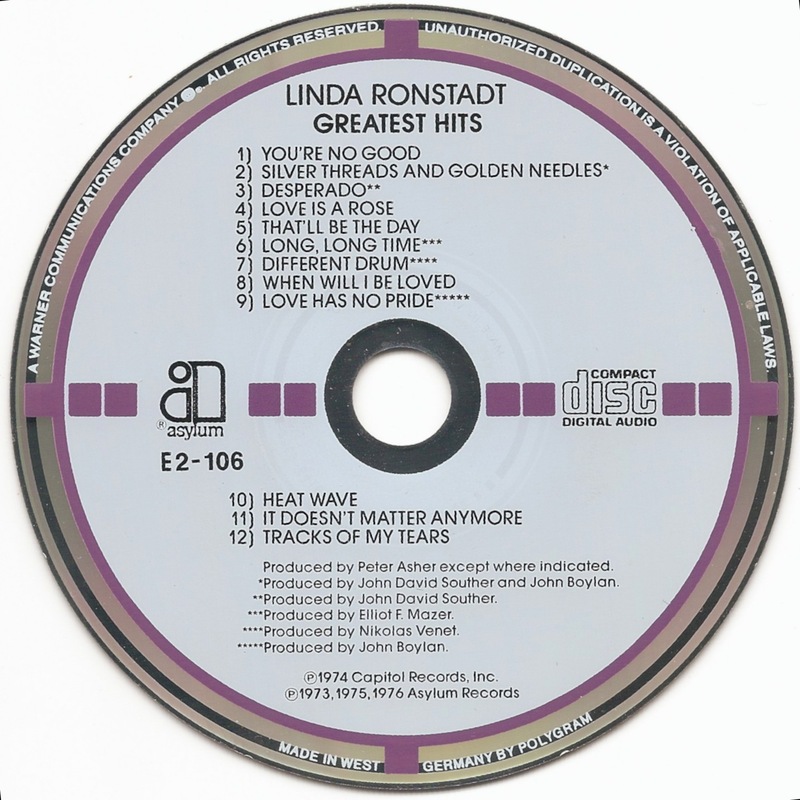 Greatest Hits was Linda Ronstadt's first major compilation album, released at the end of 1976. 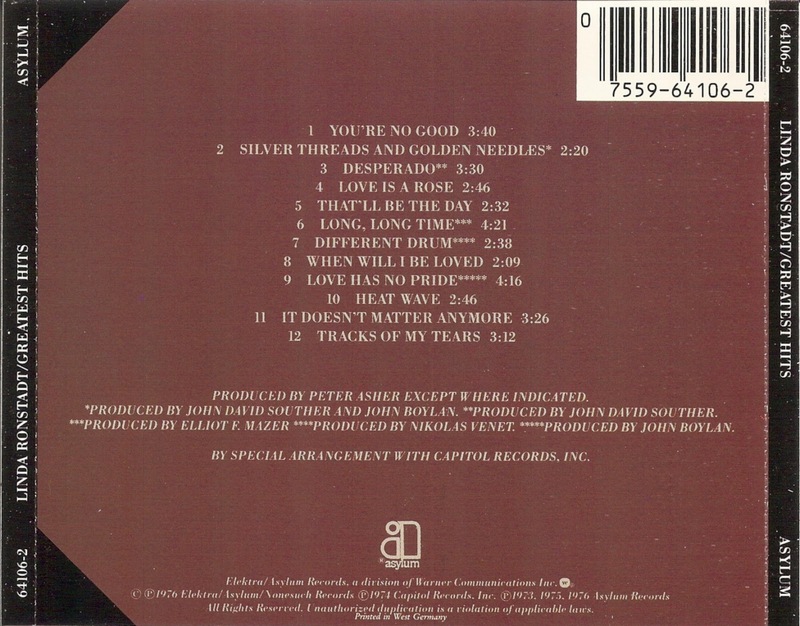 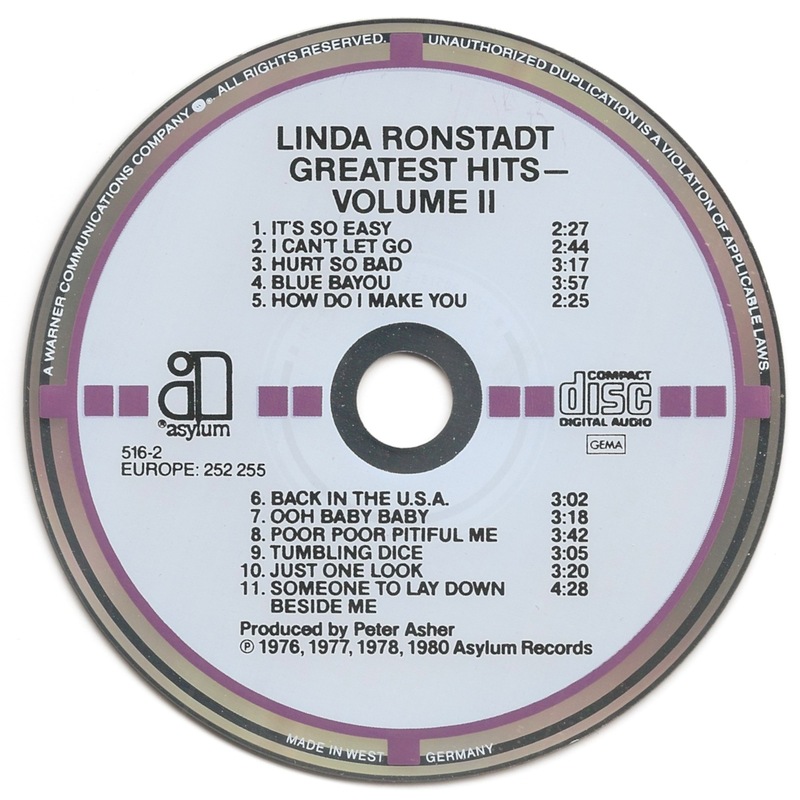 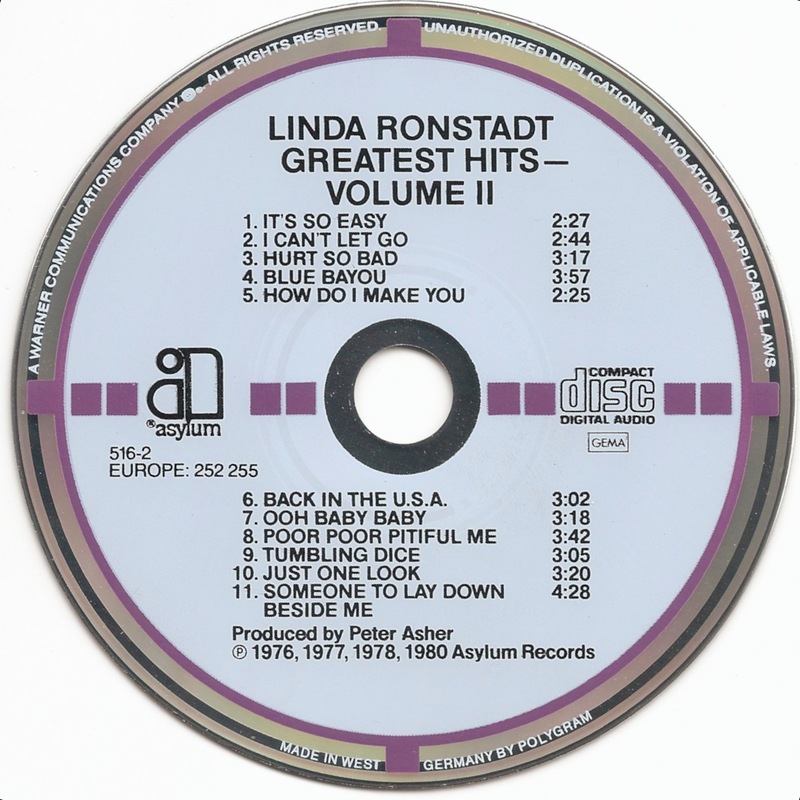 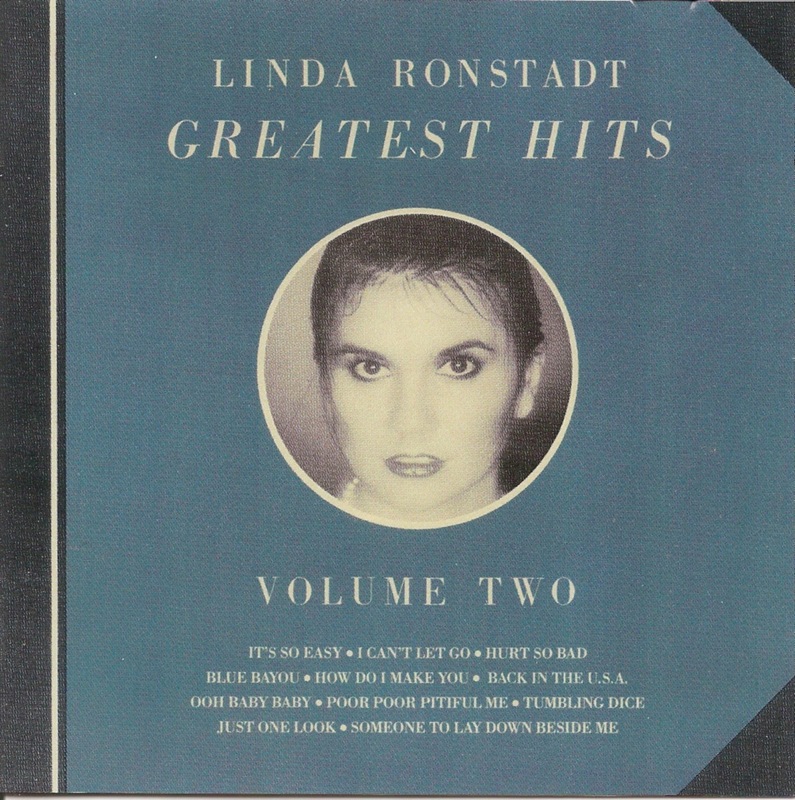 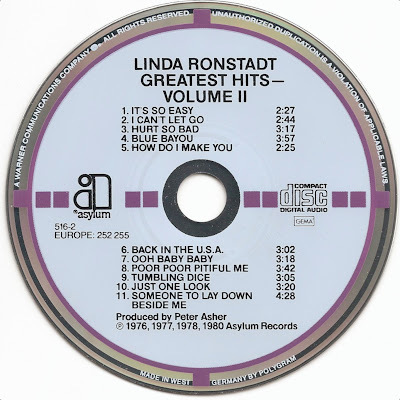 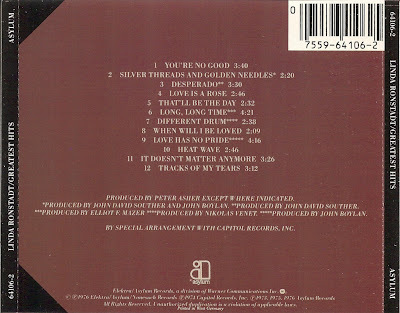 Greatest Hits, Volume 2 is a hits compilation album from American singer/songwriter/producer Linda Ronstadt. 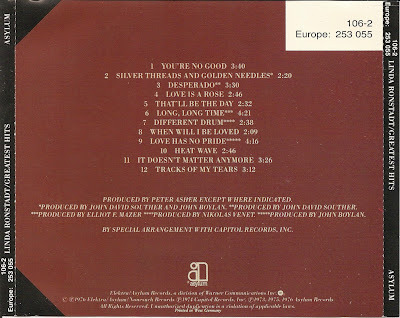 It was released in 1980 on Asylum Records.